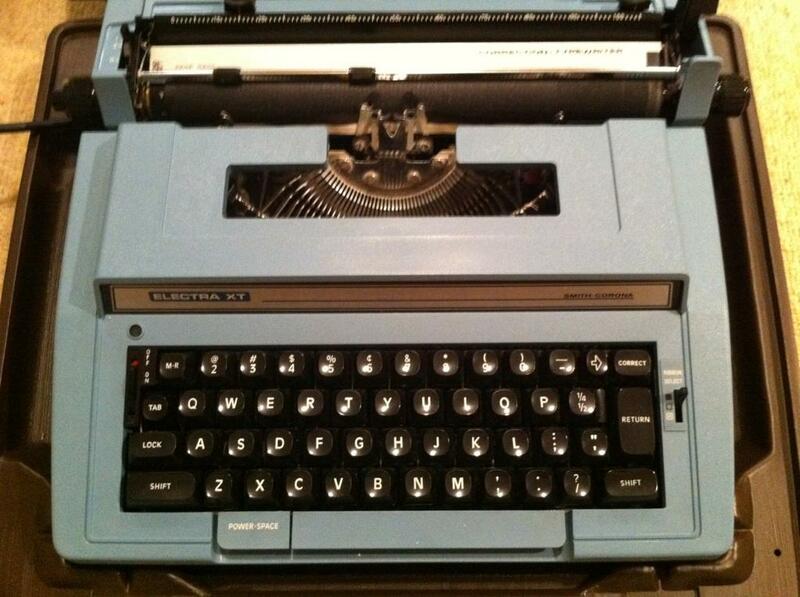 An End To An Era – Buh-bye Typewriters! If you don’t read Mashable you probably might not have seen the article titled “RIP Typewriters: Last manufacturer closes its doors“. I read the full article today and it brought back memories of visiting my aunt & uncle’s house as a kid. My uncle was a chemistry professor at a big university and he used a typewriter to type up exams for his students. Somehow as a 6-year-old I thought if I start typing on the typewriter I would be smart and educated like him (lol, I know, I wish it was that easy!). I would run to the machine and tap on random letters and pretend I was writing something important. I found typewriters fascinating! Thanks to all of those great memories I thought it’s only proper to give the old boy some space on my page; and what better place than in the header area of the blog. I think it’s only appropriate, what do you guys think? Is that really a typewriter???????? Thats an Ipad 0.00000001 boys and girls!!! !